The draw of laptops is their convenient portability. However, for many users, a small screen leads to connecting an external monitor to the laptop, which defeats the purpose. If you are not a fan of the 15 inch laptops, or 15.6-inch laptops, you are not alone. A bevy of 17-inch display laptops exist, specifically to solve the problem of small screens. We are going to take a look at some of the contenders in our best 17 inch laptop guide. Of course, a large screen size is easier to see. However, specific applications for a larger screen size include videography, graphic design, and CAD. Without a larger screen such as a 17 inch display, seeing blueprints, for instance, requires the magnification to be increased. Increasing the magnification pushes parts of the content off the screen. This, in turn, requires a lot of scrolling. A wider screen eliminates these types of hassles. Additionally, gamers enjoy a larger screen. Again, the graphics are easier to see, of course. However, more importantly, the opponents and clues are easier to see, resulting in a better game experience and, potentially, a higher score. A variety of people can benefit from a 17-inch large screen. Graphic designers will be able to assess their work more efficiently. 3D artists have a larger canvas, as it were, and engineers can benefit from being able to see fine print and annotations. However, visually impaired people can also benefit as can writers and educators when using the right operating system. Finally, anyone simply wanting to watch videos will enjoy a much larger image area. A 17-inch laptop not only means a larger screen. It also means the potential for more bulky graphics hardware. In general, graphics cards are large because they require a lot of cooling power. 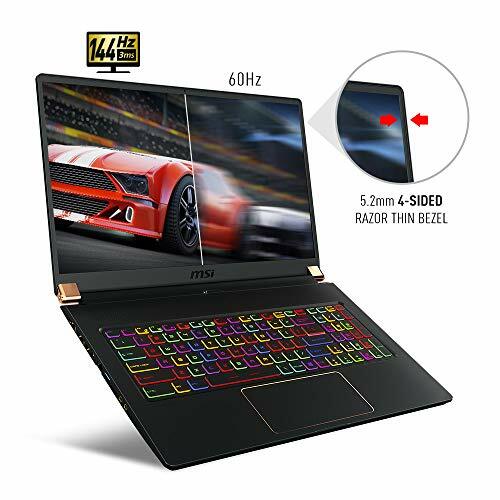 However, the added bulk of a 17-inch laptop that can hold a bit more meat on its bones, make them perfect for larger graphics cards, fans, and heat pipes. 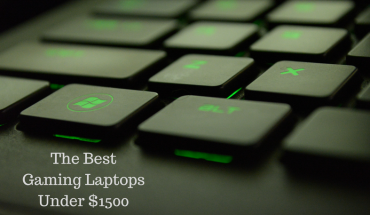 For gaming, a Nvidia Geforce 1050 is the minimum card the best laptops should have. Ideally, it should come equipped with the Nvidia GeForce GTX 1060 or GeForce GTX 1070. However, for streaming or multi-media, you will find the Nvidia 940MX or the MX150 perfectly capable and much less expensive. 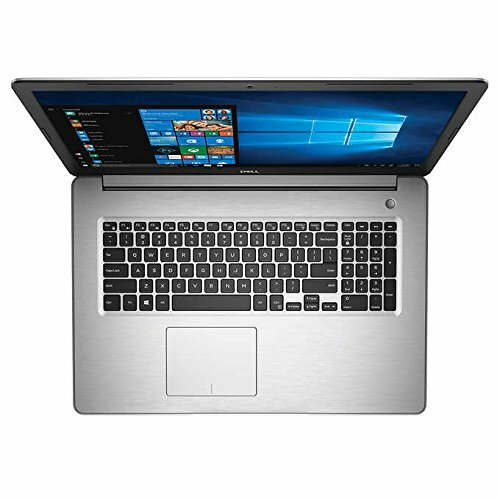 That said, if you can afford it, look for the best laptops with a Nvidia Geforce GTX 1080. In desktops, the GTX 1080 has been replaced by the RTX 2080. However, many premium laptops now feature the GTX 1080. Until recently, the GTX 1080 was the fastest graphics card on the planet. That said, the newer FTX 2080s are only 35 percent faster. This means, the 1080 is now a more discounted graphics card that still offers lightning-fast graphics capabilities. Regardless what graphics card you get, if you are interested in virtual reality, look for a machine with at least four USB ports and one HDMI port. If you house a lot of programs, look for a solid state drive (SSD) of 500GB or greater capacity. If all you need is Windows and one or two programs, a 250GB SSD will suffice. SSDs are much faster than mechanical hard drives, which spin. However, they are much more expensive, so only get what you need. For gaming, look for 16GB RAM. When it comes to word processing or social medial, 8GB will provide you all the memory you need for video applications. For 3D rendering, multi-tasking, and resource-hungry games, 32GB RAM will provide the best performance. You should also look out for DDR4 RAM, rather than DDR3 where you can. DDR5 RAM is on the way but not worth holding your breath for at the moment. Generally, the graphics card is the key component in any modern computer. However, a fast core processor is required for Windows programs, multi-tasking, or browsing the internet. For production-ready machines, an Intel i7 CPU or an AMD equivalent is the minimum speed. For gaming, the newer core i9 or AMD equivalent will provide the best performance. When it comes to light usage, such as social media, an Intel Core i5 will suffice. Be aware, that powerful machines are likely to drain more power and you may find battery life is a bit lower than machines for light usage. 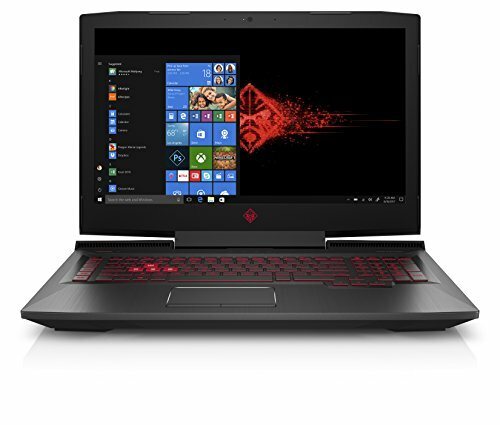 The laptop comes with Windows 10, and the McAfee subscription protects you for three years, saving you approximately $80 to $150, depending on discounts available at the time of signing. The 1.4 GHz CPU has a turbo-boost speed of 4 GHz, which should handle any sudden computing needs. Additionally, the Bang & Olufsen speakers come with HP audio boost, which will provide you with rich, deep sound. The GeForce MX150 graphics card offers 3GB dedicated video memory and will handle a variety of games. The aptly named HP Envy is a solid machine with a host of components. First, the 512GB SSD provides ample space and will not require upgrades. Additionally, the 16GB RAM will accommodate any mix of software as well as meeting the minimum requirements for just about any game on the market. The MX150 graphics card is the equivalent of a GTX 1030. For resource-hungry games, you will need to set the game mode to performance rather than to quality. Doing so will ensure smoother game play, and the lower graphics are typically not that noticeable. The Omen is more than capable of meeting just about any needs you might have. The high-end Intel i7 CPU is speedy, and the 1TB hard drive will provide all the storage you will need for apps, games, and multi-media. Additionally, the 128GB SSD will ensure core-applications are fast and responsive. Regarding the monitor, the 17-inch screen boasts an anti-glare coating to reduce reflections and eye strain. The GTX 1060 offers 6GB dedicated video memory–enough for 3D graphics, games, and 3D video editing. Additionally, 16GB RAM will ensure you can multi-task between a variety of power-hungry programs. 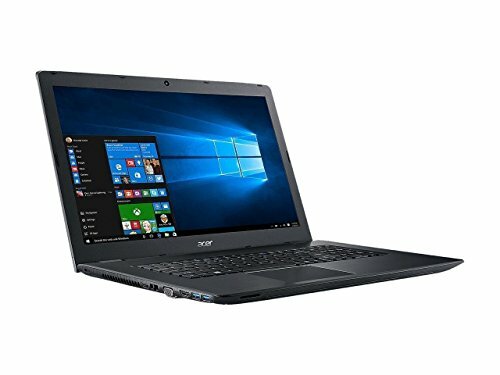 Unlike many of the gaming beasts that are packed with high-performance components, the ACER Aspire is geared for social media. As such, it offers a slimmer array of features designed to do one thing well–without busting your budget. For instance, the high-definition web cam is packed with a respectable 256GB SSD and a 2.5 GHz i5 CPU. Combined, this blend of components will make streaming, filming, or editing a breeze. 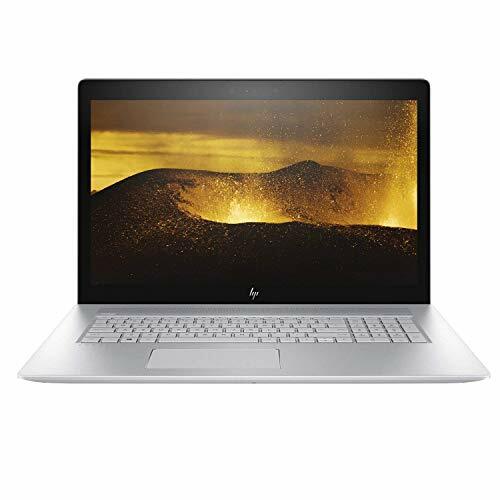 Additionally, 8GB RAM will provide any video editing software more than enough memory for previewing and fast rendering. The interesting thing about this machine is that although its components are not as powerful as those in other machines—the package is complete, and capable enough, for all purposes. For instance, with five USB ports, this machine is virtual-reality ready. Although a more powerful graphics card might be necessary for intense graphics-based games, it will accommodate 360-degree, social-media footage perfectly. Additionally, the NVIDIA GeForce 940MX will handle basic, virtual-reality games and experiences. Basically, Acer has produced a social-media laptop for people who want to do one thing: social media. It excels in this, yet it is still capable of gaming, 3D rendering, and a variety of other common operations. Note: upgrading to 16GB RAM would be both easy and inexpensive. 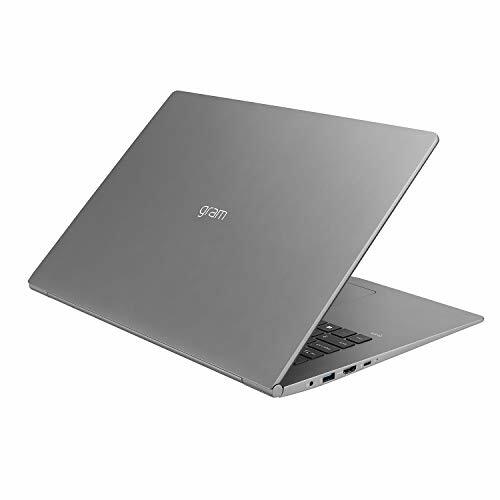 The LG Gram is another laptop designed for a specific market. Writers and business travellers, for instance, will find this laptop a joy. The high-end i7 CPU will handle all Windows apps, and the 512GB SSD will ensure they run lightning fast. Additionally, 16GB RAM will ensure all multi-tasking is smooth and glitch free. Because this machine is for business travelers and writers, it seems obvious that it will need a powerful battery. Of course, LG shines in this aspect. The 72Wh battery provides up to 19.5 hours of run time, enough for any flight, hotel stay, or late-night writing session. Additionally, the laptop is slim, lightweight, and easily tucked into your laptop bag. The Dell Inspiron is another laptop designed for multi-media. The large, 17.3-inch screen folds over into a tent, allowing table-top viewing of movies or video calls. In these instances, the touch screen eliminates the need for the keyboard. That said, it remains a capable machine. The i7 CPU and the 16GB RAM will tackle any app. Additionally, the 512GB SSD is both roomy and fast. The GeForce 940MX is an entry-level graphics card with 2GB dedicated video memory, making it good for casual gaming and a variety of 3D games. The laptop will fold, so the screen can be used as a tablet. Additionally, it can serve as a desktop screen for movies. 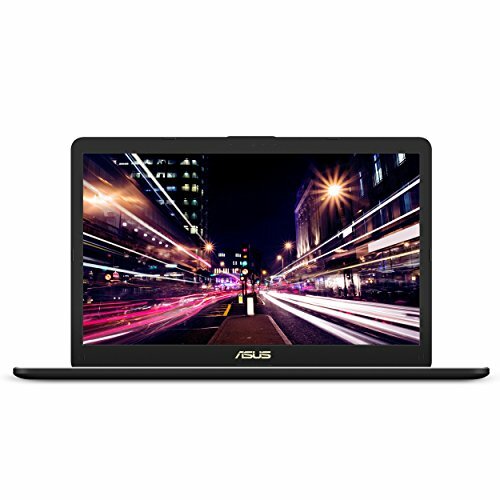 The Asus VivoBook is a nimble, entry-level production machine. 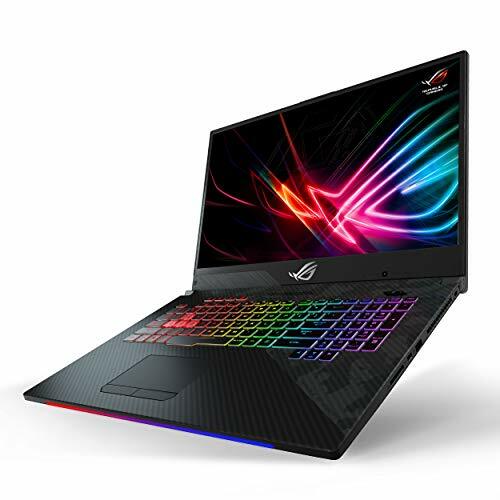 It boasts a GTX 1050, 16GB RAM, and a 256GB SSD. Combined with the i7 CPU, this machine will handle moderately graphics-intensive games. For more intense games, you will find it more than capable if you set the graphics mode to moderate. The GTX 1050 is a powerful, entry-level graphics card, capable of handling 3D rendering and a variety of modern game graphics. 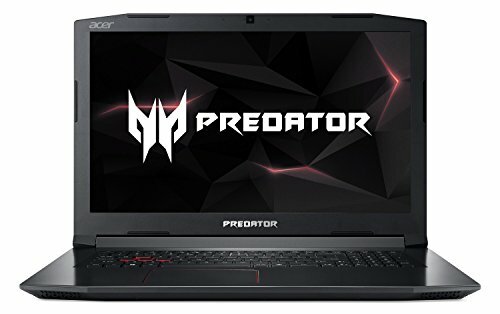 The Predator is a gaming laptop–through and through. The 256GB SSD will ensure your games do not skip due to hardware lag, and the installed Ethernet port allows for wired, lag-free game play. The secondary 1TB mechanical hard drive will provide all the backup storage you need, and it can be upgraded easily through the bottom panel. The monitor is a widescreen model with a 16:9 aspect ratio, ensuring all movies can be experienced without the letterbox effect. Additionally, the i7 CPU has a peak speed of 3.8 GHz. The backlit, red keyboard provides adequate light in a darkened room, and the W, A, S, and D keys are lit to assist with finger re-orienting. The battery will last seven hours, and it can be recharged within three. With four USB ports, it is compatible with both Oculus Rift and HTC Vive headsets. Additionally, the Nvidia GTX 1060 offers 6GB of dedicated video memory. This is enough video memory to render quickly a variety of 3D graphics, simulations, and VR games. For more power, the 16GB RAM can be upgraded to 32GB. Other features of note include the upgraded Wi-Fi antenna, which will provide strong connections even at distances of 80 to 100 feet. The RTX 2070 is a graphics card to envy. It replaces the phenomenal GTX 1070, which remains a seriously capable graphics card. Additionally, the RTX 2070 is loaded with 8GB dedicated video memory. Simply put, this card is powerful enough that even when you set the game graphics to maximum, they will appear fluid and smooth. Finally, the RTX 2070 improves over the 1070 in ray tracing. Games employing ray tracing graphics will appear brighter while rendering faster than ever before. Additionally, this machine is equipped with four 3.1 USB ports, priming it for the toughest virtual-reality games on the market. For gamers, the ROG has a hardware gaming dashboard. In this dashboard, you can reprogram the keyboard and overclock the system, so you can get the ultimate performance for your favorite games. Standard components include a spacious 512GB SSD and a six-core i7 8750H CPU. Other than these features, not much is standard about this machine. 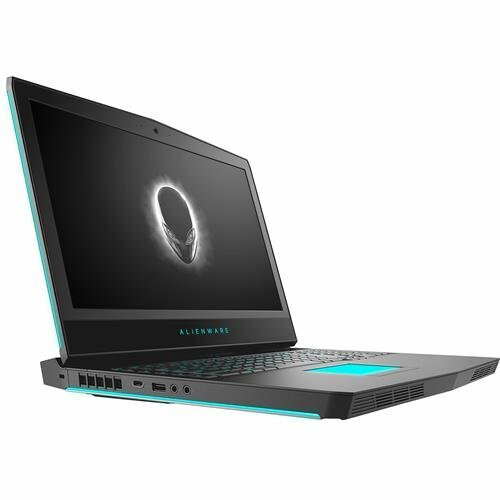 The Stealth 093, for instance, is not just a gaming laptop; it is a gamer’s gaming laptop. For the ultimate performance, it is loaded with the second fastest graphics card on the planet: the RTX 2080, the fastest being the RTX 2080 Ti. Additionally, it is equipped with 32GB RAM, which will provide all the space your games need for smooth game play and on-screen rendering. This machine is kept cool by three cooling fans, which, amazingly, run quietly. It also features seven heat pipes, which direct the heat toward the back. Finally, the thin bezel helps emphasize the graphics. The Alienware 17 R5 laptop is a budget VR laptop with some serious power. The i7 CPU will ensure no machine lag, and the 256GB SSD will ensure fast startup and smooth operation of core programs. For backup storage, the 1TB mechanical drive will provide plenty of storage for games, multi-media, or secondary-drive programs. The GTX 1060 will handle all the graphics Oculus or HTC Vive have to offer, and the 6GB dedicated video memory will hold enough graphics in cache to ensure speedy rendering and game play. Finally, the Alienware 17 R5 is loaded with USB ports, so you can plug in your Oculus Rift or HTC Vive and enjoy immersive entertainment right out of the box.